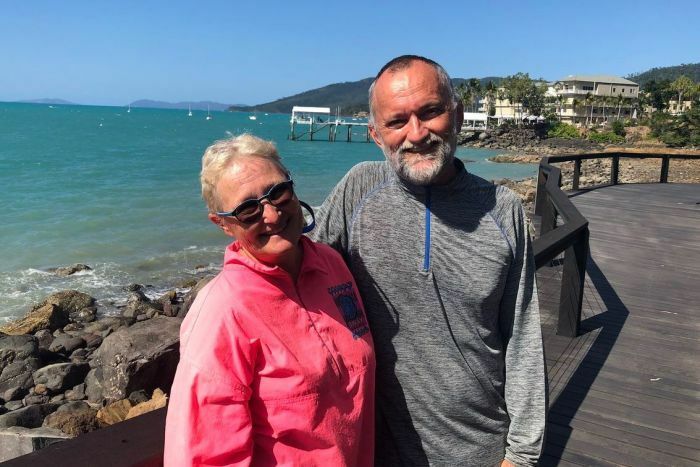 The first doctor to assess shark attack victim Justine Barwick after she was pulled out of the water at Cid Harbour in the Whitsundays has praised the “first-class” first aid applied by her husband and friends, which he says may have saved her life. It comes as a 12-year old girl has become the second shark victim in less than 24 hours after being bitten on the leg in the same area on Thursday afternoon. Dr John Hadok — an emergency doctor at the Mackay Base Hospital — was on a nearby boat when the 46-year-old tourist was bitten on the upper right leg about 5:00pm on Wednesday. He was alerted by people from another boat who had heard her screams, and travelled from boat to boat looking for help. “I guess it was one of those situations where everything came together, the poor woman had been helped back onto her boat by her husband and her friends, who applied absolutely perfect first aid,” he said. “I was a little worried I was going to find severe bleeding still going, but they had been able to stop the bleeding. Dr Hadok said her injuries were life-threatening, and she was in an extreme state of hypervolemic shock by the time he arrived — a result of losing more than one fifth of your body’s blood supply. “I was just over-awed with the courage of her husband. He was clearly devastated but was still able to take instructions and offer help,” he said. 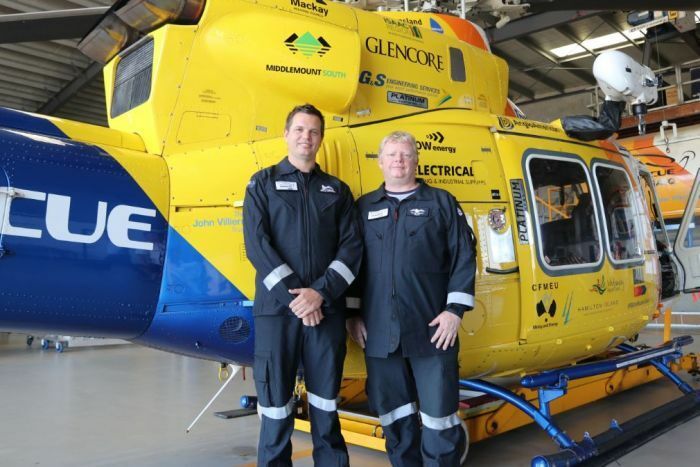 The Mackay doctor also used to be a crew member of the RACQ CQ Rescue Helicopter as one of their retrieval doctors, and was able to discuss the best method to have her winched over radio. “I made a bed out of boat cushions and we arranged it in such a way so that her legs were higher than her head because her blood pressure was unrecordable, she had no palpable pulse and I didn’t want her to be sitting up,” he said. But he said the first aid, where packing and compression bandages were applied to her thigh, had been able to stop the bleeding. Dr Hadok described his role in the rescue as “pretty minor” and said he comforted Ms Barwick during the rescue. “She was she was very frightened. She wasn’t out of control, she was very brave,” he said. “She was asking me very rational questions and telling me about the awful pain that she was in. But she was quite sleepy because of the severe blood loss. Rescuers and nearby holidaymakers who witnessed the woman’s ordeal say she is lucky to be alive. Mark Yates was holidaying on his boat off Cid Harbour and said he was nearby when it happened. 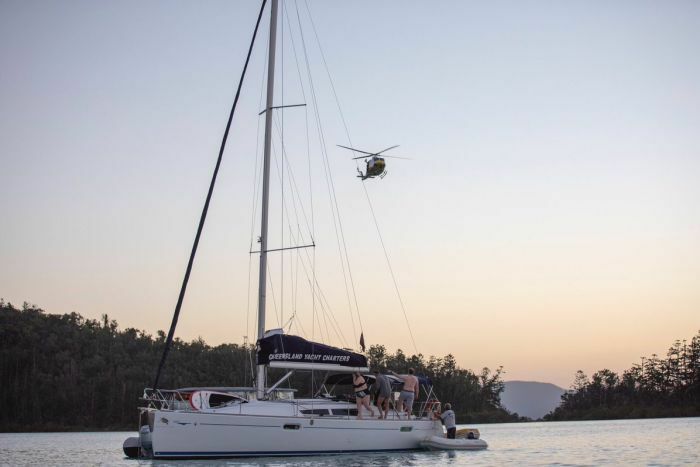 “I just saw this yacht anchor about 60 metres off my boat, there appeared to be six people on board and they all seemed to be laughing and all that,” he said. “Twenty minutes later there was this screaming and I thought ‘geez, they seem to be having fun’, and then the screaming kept continuing and I got up to have a look and I saw them dragging the poor woman out of the water. 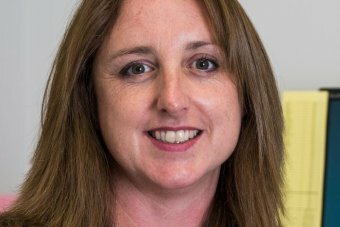 Ms Barwick’s employer, Family Based Care Tasmania, said she was an avid snorkeler who made an annual trip to the Whitsundays. “Justine is a fighter — a fit resilient woman who is an outstanding leader in the aged and disability care sectors. These intrinsic attributes will serve her well in her recovery,” the company said in a statement. Mr Yates said the rescue operation took about an hour and a half. “Two fellows dragged her straight up over the transom off the back of the boat and they must have laid her down in the cockpit so I couldn’t see anything happening at all. Mr Yates said boaties he had spoken to since the attack told him the area is known for sharks. “This morning a fellow on a boat next door to me he came over and he told me he caught two tiger sharks in the last week and one of them bit his dinghy,” he said. While he had previously gone swimming in Cid Harbour, Mr Yates said he won’t be again. “I’m not game now. Beautiful as it is and the water’s nice but I’m just content to cool down in the breeze I think,” Mr Yates said. The helicopter pilot who flew Ms Barwick to hospital described the “fortuitous” circumstances that may have saved her life. Ms Barwick — who works for Family Based Care in north-west Burnie in northern Tasmania — was pulled out of the water and onto a nearby yacht, which happened to have a doctor on board. She was then placed inside a dinghy and winched up to a helicopter. RACQ CQ Rescue pilot Kevin Berry said it was a difficult situation. “[It was] very fortuitous that time, people and resources where there when we needed them,” he said. “The rescue itself was tricky due to the tall mast on the hire yacht and that large number of boats in the area. “So to hover over the boat to rescue directly from the boat would have blown the boat around. “The simplest operation was what we did, putting her into the rubber duckie off the back of the boat and winching them from there. Mr Berry said another miraculous occurrence was the fact the rescue helicopter was low on fuel and had to divert to Proserpine. 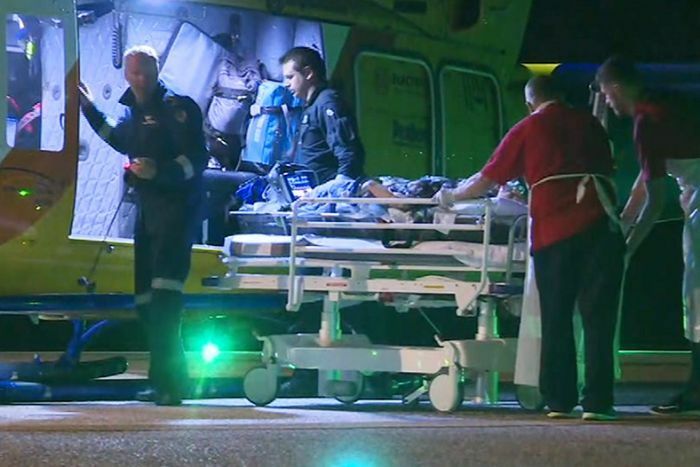 “The fact the chopper did not have enough fuel to fly direct to Mackay ended up being a lucky break for the shark attack victim,” Mr Berry said. “We were 10 minutes short of fuel to come back to Mackay [so] we went to Proserpine to refuel. 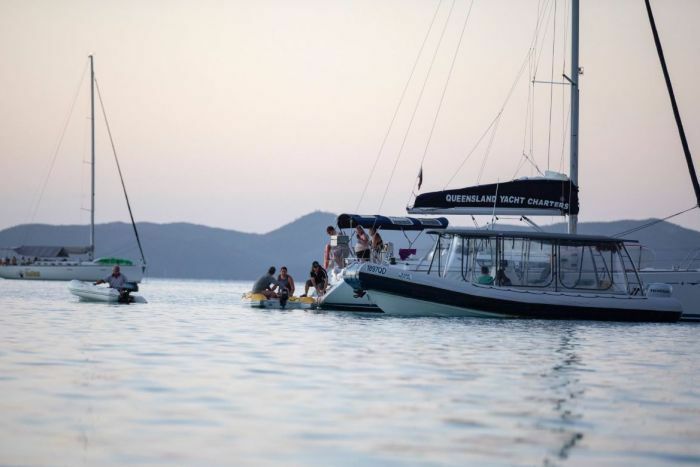 “[It] would have been ideal to go to Hamilton Island but they did not have any fuel at the time. “Blood was delivered to the team at the same time we landed. “It gave the paramedic time to work on the casualty a little bit more stabilise her, as fluids were needed straight away. “So it was maybe fortuitous landing at Proserpine, it got the fluids to her quicker than having to come back to Mackay.